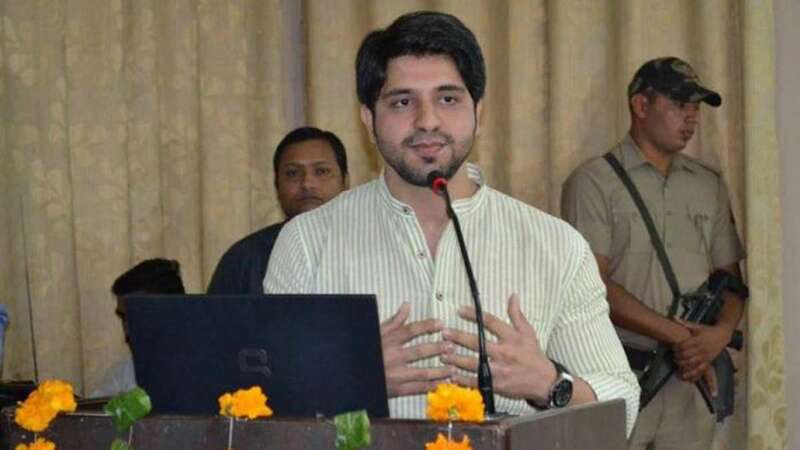 New Delhi : Thanking the PMO for his praise by Prime Minister Narendra Modi, Congress leader Shehzad Poonawalla said on Sunday that he had contacted party Vice President Rahul Gandhi's office during the day but was insulted. "Thank you @PMOIndia (Prime Minister's Office). I will continue my fight against dynasty politics -- I will not be cowed down by attempts to silence me," said Poonawalla on Twitter. "Sardar Patel was denied his due years ago. I contacted @OfficeOfRG (Rahul Gandhi's office) even today (Sunday) asking his office to meet me so I could give them proof about the rigged election of Rahul Gandhi -- they insulted me just like Patel must have been insulted," he added. Poonawalla wrote: "Tomorrow, voters of Congress will give a befitting reply to Shehzada for denying us Shehzads the right to challenge the Crowning of the Prince -- will give details tomorrow morning -- hope not eliminated like Safdar Hashmi -- will avenge Sardar Patel's insult too." "Analyse the truth friends: Even today I criticised @PMOIndia (like always) yet @Narendra Modiji praised me and dynasty slaves of @OfficeOfRG who I served selflessly for 8-9 years (who cheer for Yashwant, Shourie) removed me!! Emergency has returned to dynasty's DNA?" he tweeted. Poonawalla had alleged that the party President's election is rigged to favour Rahul Gandhi. Modi on Sunday targeted the Congress and the Nehru-Gandhi family over dynasty politics and praised Poonawalla for his action. "A youngster Shehzad has exposed the rigging that is taking place in the Congress President's poll. And Shehzad is a senior Congress leader in Maharashtra. The Congress has tried to muzzle his voice and wants to even remove him from their social media groups. What tolerance is this?" Modi said at a rally in Surendranagar. "Those who have no internal democracy can't work for people. I want to tell this youngster Shehzad -- you have done a brave thing but this is sadly what has always happened in the Congress," he added.